Scurvy may seem like something that just happens in history books. And for most of the developed world, that is true. However, there are still horrible consequences when your body doesn’t get enough vitamin C. While you’ll probably never experience these consequences if you are in relatively good health, what happens when you don’t have enough vitamin C will surely make you want to reach for an orange. Back in the day, travelers by ship suffered from scurvy. The British public became aware of it in the 1700s, but explorers and ships’ crews had been dying of it since at least the 1400s. As the BBC reported, the effects of scurvy on these ships were horrible. Skin changed, teeth fell out, and gum tissue would come of the mouth. Along with trouble breathing, ulcers, bad breath, and sensory overload, these extreme symptoms would eventually lead to death. They didn’t know what caused scurvy at the time, but the lack of vitamin C was one of the major factors. 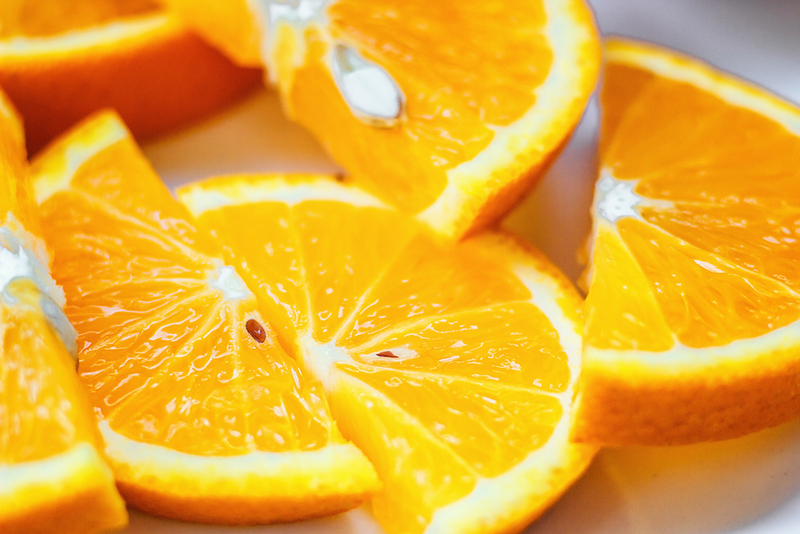 Here’s why vitamin C is important. According to the U.K. health website Patient, we can’t produce vitamin C in our bodies. However, it’s still an essential nutrient, which is why your diet is important for getting vitamin C. That’s also why people on ships who didn’t know this and didn’t have access to fresh produce had such severe vitamin C deficiencies. It’s rare, but you CAN still get scurvy. Although it is rare nowadays for people in nations like the U.S., Canada, and the U.K. to be lacking vitamin C, there are certain conditions that might make someone be more susceptible to a vitamin C deficiency — and even scurvy. As Slate reported in 2015, people with mental disabilities in Massachusetts who weren’t getting proper nutrition were discovered to have scurvy in the 2000s. The symptoms of the first case they found included bleeding gums, swelling, bruises, and fatigue. "You can have a handful of McDonald’s ketchup packets a day, and that'll give you enough vitamin C to keep you from contracting scurvy," he said. However, even though it seems easy to avoid, people with mental illness aren’t the only ones who could have severe vitamin C deficiencies. Anyone who doesn’t have access to fresh food — which can include people with low-incomes or children who are neglected — could get scurvy. If you smoke, you need more vitamin C than non-smokers. Smokers are also more susceptible to vitamin C deficiencies since smoking decreases the body’s ability to absorb vitamin C, while also increasing the body’s need for vitamin C. That’s why the Food and Nutrition Board at the Institute of Medicine states that smokers require 35 mg more of vitamin C a day than nonsmokers. Even people who don’t smoke — but are exposed to secondhand smoke — should make sure they are getting more vitamin C. It’s also recommended that people who have certain medical conditions — like kidney disease or certain types of cancer — increase their vitamin C levels. "Scurvy causes fatigue, inflammation of the gums, small red or purple spots on the skin, joint pain, poor wound healing, and corkscrew hairs. Additional signs of scurvy include depression as well as swollen, bleeding gums and loosening or loss of teeth. People with scurvy can also develop anemia. Scurvy is fatal if it is not treated." How to get enough vitamin C? The Mayo Clinic states that most people will get enough vitamin C in a day from simply eating a cup of strawberries, red pepper, or broccoli. And, of course, a large orange will also do the trick. As for if you can ever have too much vitamin C? It’s not very likely. You’d have to consume more than 2,000 mg a day and you still may not experience any side effects. Plus, the symptoms of too much vitamin C are tame compared to what happens if you don’t have enough vitamin C. We’d take a little diarrhea over losing our teeth any day. So, if you eat a healthy, balanced diet, you most likely will never suffer from the effects of a lack of vitamin C. However, if you know of anyone whose health or diet could lead to a vitamin C deficiency or scurvy, help them get proper nutrition since the consequences of not having enough vitamin C are very real and not very pretty.